The Email Etiquette Series is all about writing emails that people love to read. So far, we have covered the common mistakes to avoid as well as the points to focus on when writing an effective business email. 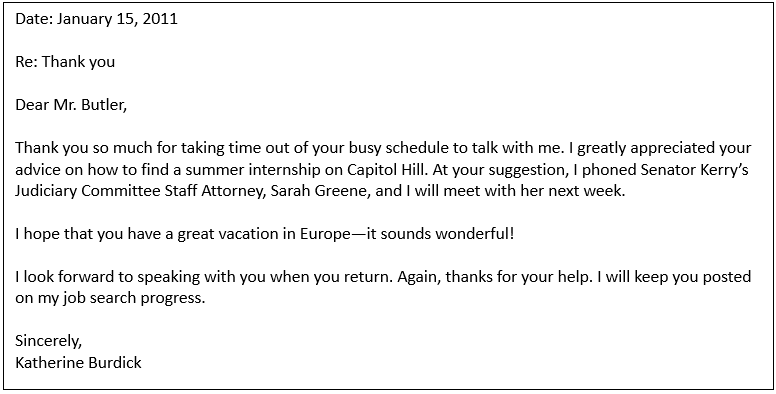 In this blog post, we shall explore the art of writing an effective professional Thank You email. 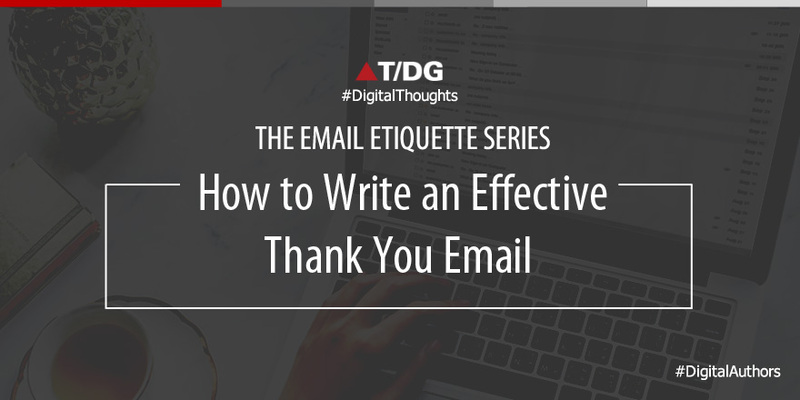 Interestingly, irrespective of the person you’re writing the Thank You mail to and the reason to say thanks, the basic structure of a Thank You email remains essentially the same. In this article, we shall look into the key points to focus on as well as some quick tips for an effective Thank You mail. We shall round off this quick guide with a well-written sample for your reference. So, let’s get started! Given below are the things you should be careful of when drafting a Thank You email. Begin your email with the words ‘Thank You’ or ‘Thanks’, followed by the reason behind writing the note. This helps the recipient get an idea about what the email is about. Don’t forget to include the name of the recipient, even if you need to make an extra effort to find out the name of the concerned person in some cases. A Thank You email addressed to ‘to whomsoever it may concern’ defeats the very purpose of the email. Craft the opening line with care. Include the key phrase ‘Because of you’ (or something similar in meaning with respect to the context) somewhere in the first line of your email. This is used to highlight the contribution of the recipient and how it has made a difference to you. Let them know how their advice, help, or what they did for you really matters. Make it sound personal without getting too carried away. The objective is to add warmth as opposed to coming across as cold and robotic. Also, maintain a positive vibe throughout the email and focus on the possibilities or opportunities that lie ahead, instead of talking too much about the negative aspect of what could have been if the person was not there to extend help. Don’t forget to reiterate or repeat your gratitude in the closing part of hte Thank You email. Also, keep the closing crisp and to-the-point. Given below are some pointers to keep in mind when drafting a Thank You email that leaves a lasting impression. Don’t forget to keep it short and simple. Nobody today has the time and patience for a lengthy note that goes on and on. Don’t get carried away with the compliments. Too many compliments, no matter how genuine, can put off many people. Don’t wait for too long before sending a Thank You email. Proofread with utmost care to look for typos and grammatical errors before you hit that Send button. Writing an effective Thank You email is easier than you think, provider you keep a few simple pointers in mind. Remember that a Thank You mail is a great relationship builder and so taking a little care goes a long way. Read well-written email samples in order to get a hang of it. Last but not the least, make sure to make it sound meaningful and you’ll be good to go.